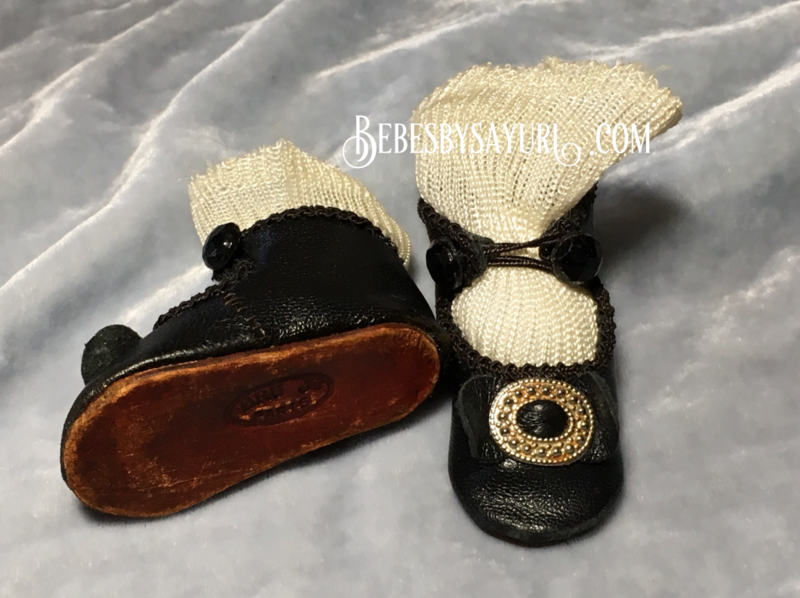 Sneak peak of my next doll! 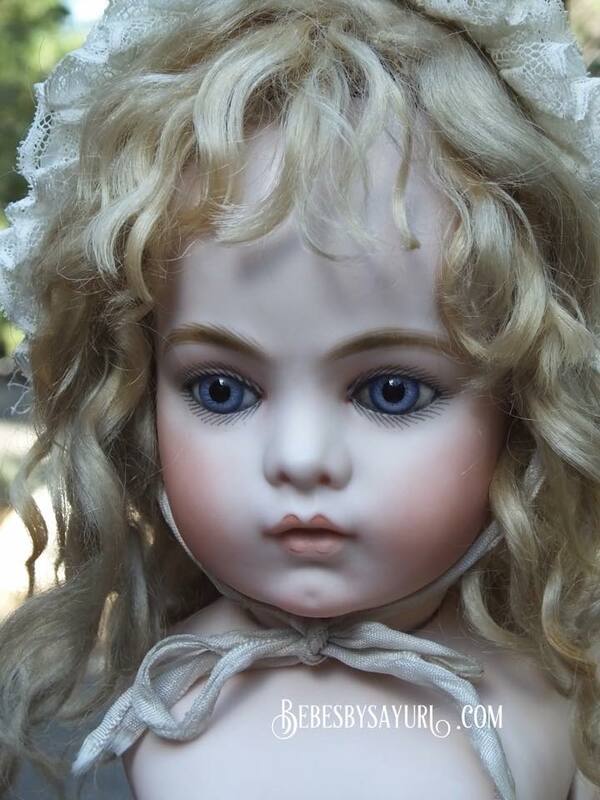 19 inch Bru Jne 11 with antique blue eyes. 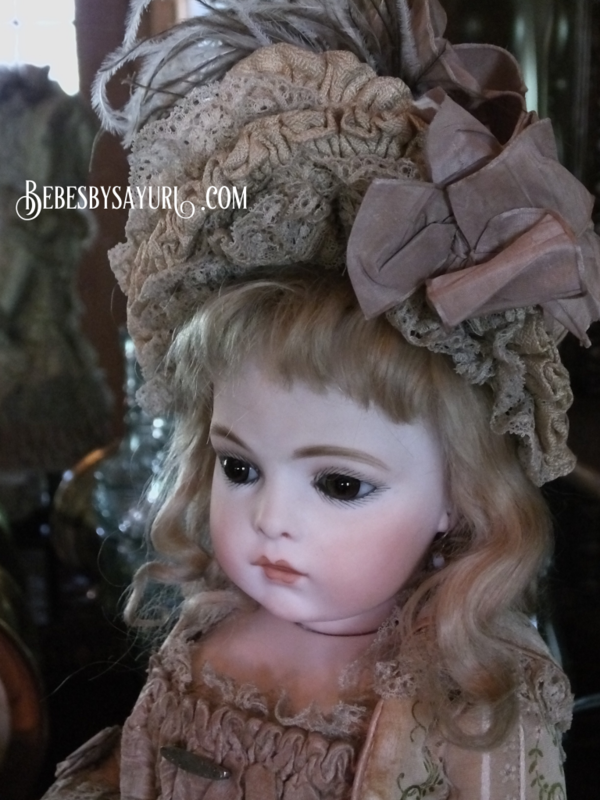 She will be exhibited in Japan this December as part of Artist Doll Exhibition in Tokyo. 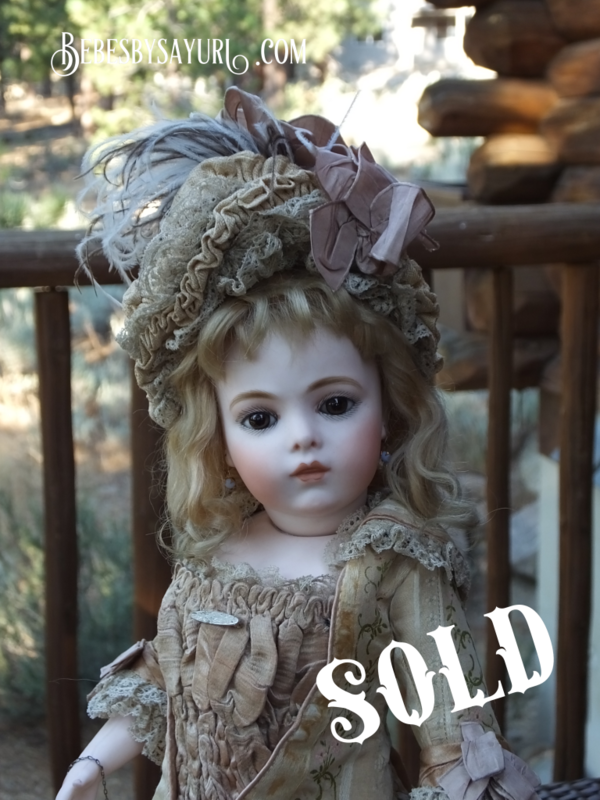 She looks very different from brown eyed Bru I just sold. I like them both. 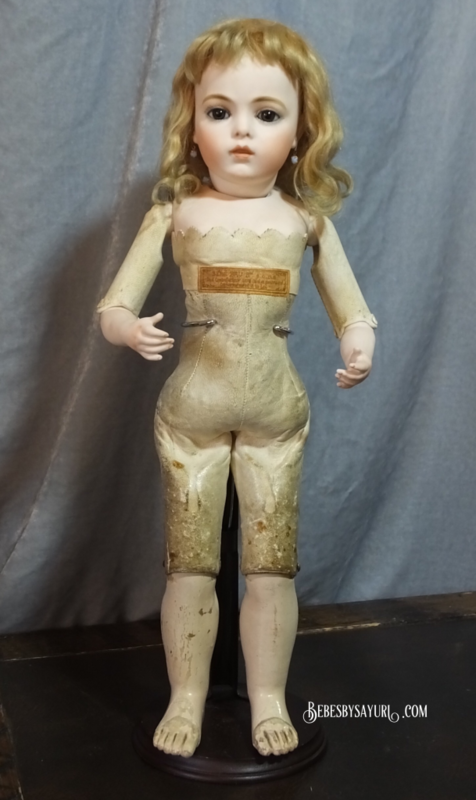 This doll is SOLD and no longer available. Thank you for viewing! 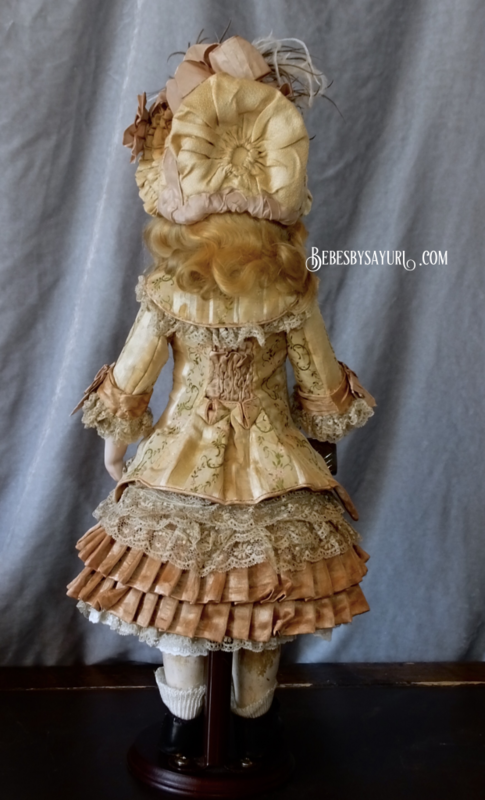 ****************************************************************************************************I started making this doll in May and she is finally completed! I have been posting her each stages in previous entries so lets cut the chase and let me show her final look! 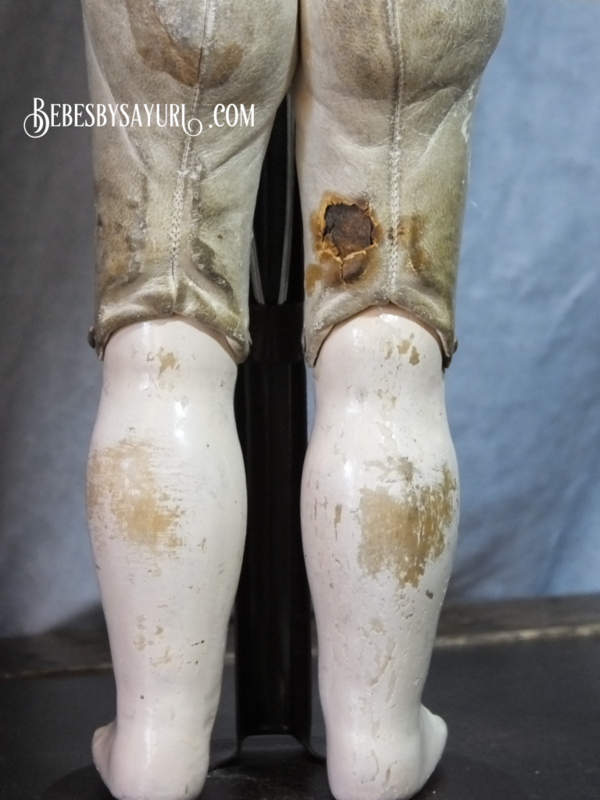 Close up of imperfection of antique body. 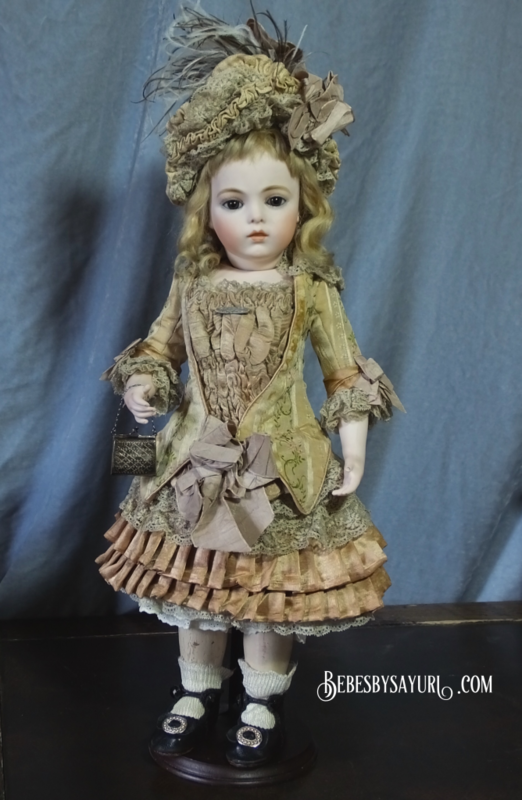 She is 16 inch ( 40 cm ) tall and has original antique Chevrot body and antique Bru brown pinched back eyes. 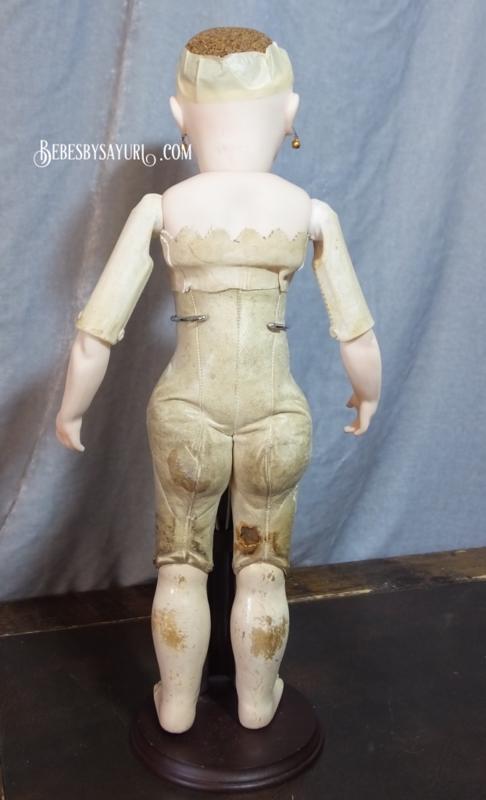 I made her bisque head and bisque shoulder plate, upper and lower arms. Her costume is also hand crafted by me. 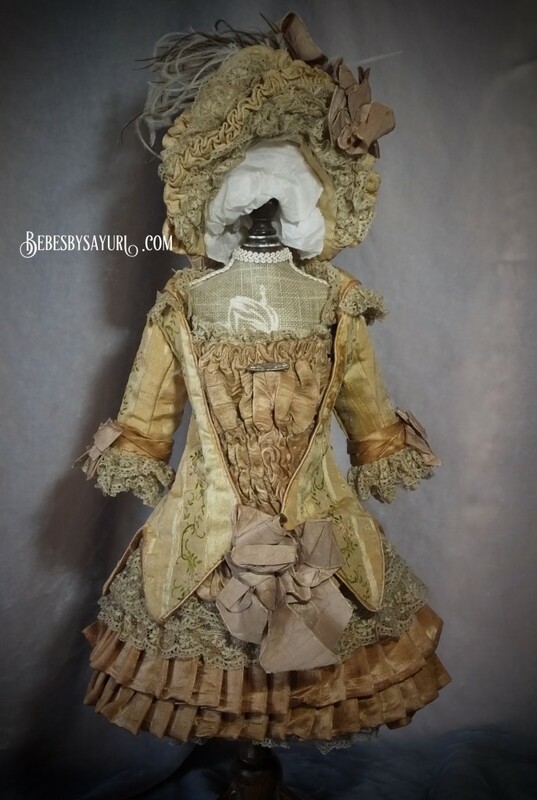 I used antique materials for the dress, and hat, undergarments. 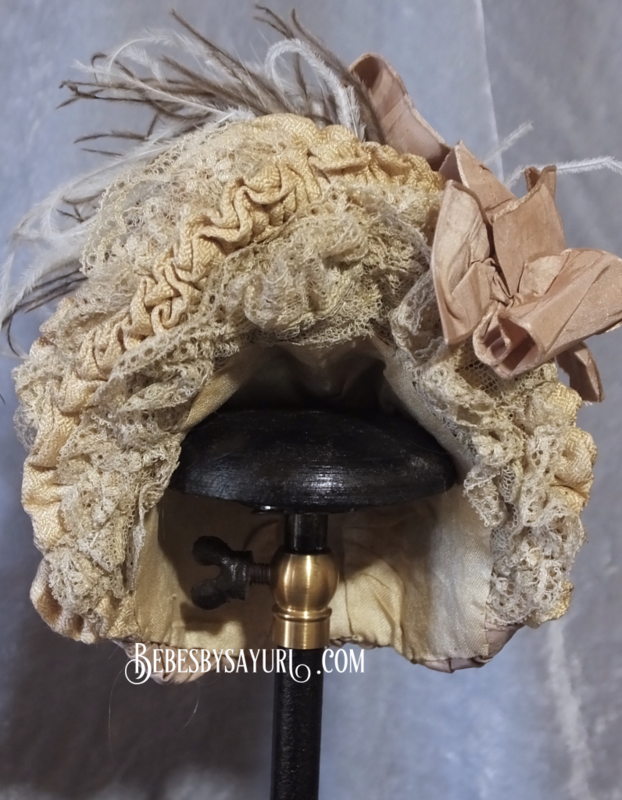 Her jacket is extremely hard to find 19th century silk and very fragile and has already small tears in some area. I secured with fabric glue but I do not recommend to undress her frequently. 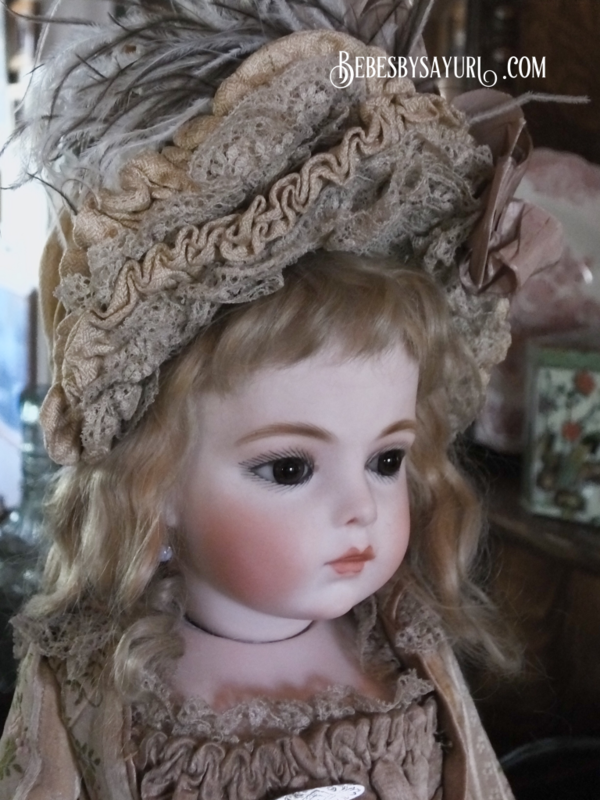 She comes with tiny vintage earrings and antique purse she is holding.Her wig is vintage blond mohair wig. I hope you enjoyed seeing her birth process. 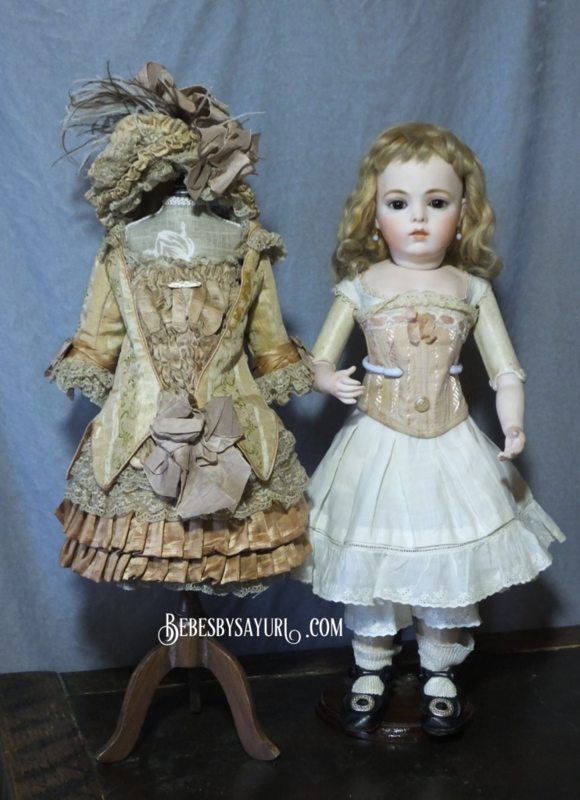 Thank you all for visiting my blog! Have a wonderful August!